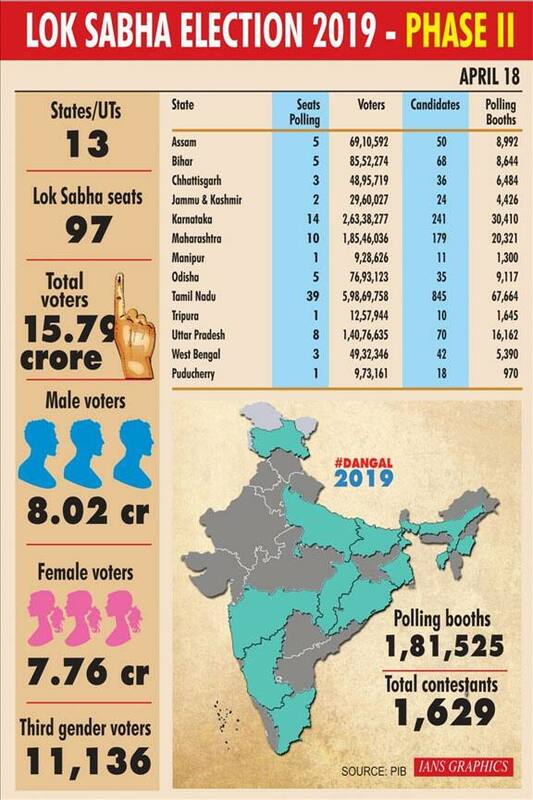 The stage is all set for the second phase of Lok Sabha election 2019 to be held across 95 parliamentary seats in 13 states and union territories on Thursday (April 18). After the first phase of election, held on April 11, political parties have only upped their campaign to ensure triumph for themselves. At rallies across the length and breadth of the country, politicians have left nothing to chance in highlighting their achievements while hurling muck at rivals. Often, the quality of verbal discourse have been so pitiable that the Election Commission had to temporarily ban several leaders from campaigning for a period ranging from 48 to 72 hours. While the EC has shown that violating the Moral Code of Conduct (MCC) won’t be tolerated, most politicians continue to move heaven and earth to ensure they find favour among voters. While there were 14 crore eligible voters in the first phase of Lok Sabha election 2019, over 15 crore voters would be eligible to exercise their franchise in the second phase. Of these, 8.02 crore* are male, 7.76 crore* are female and 11,136 belong to the third gender. The biggest state in the second phase – in terms of electorate size – is Tamil Nadu where polling would be held in all seats – barring Vellore. In Tamil Nadu, a total of 5.98 crore* people are eligible to cast their vote, followed by 2.63 crore in 14 seats of Karnataka and 1.85 crore in 10 seats of Maharashtra. The politically-charged state of Uttar Pradesh will see election in eight seats with 1.40 crore eligible voters. In all, voters will have to choose between 1,629* candidates across the 13 states and union territories participating in the second phase of voting. The bulk of candidates, quite obviously, are in Tamil Nadu while Karnataka and Maharashtra too will see key battles played out. 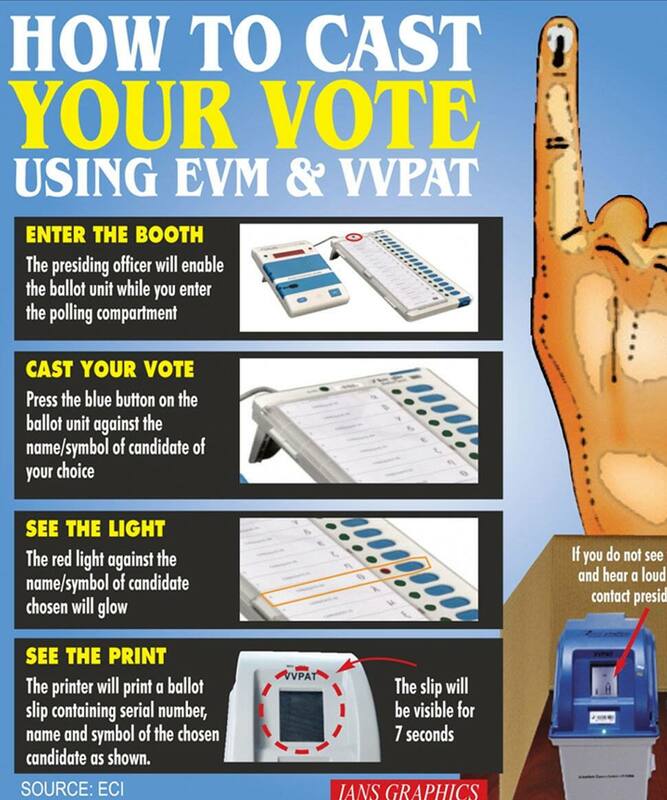 Much like before voting in the first phase, the EC has taken a number of steps to ensure that voters come out in huge numbers to the 1,81,535 polling booths* set up for the second phase. Security remains a key area of focus, even more now because of sporadic incidents of violence last Thursday. The timing of the cote would be between 0700hrs and 1800hrs in most states and union territories.